Tomorrow, Saturday 10th August, the third event of the 2013 Adelaide Masters Series season heads to Northern Ireland and the ultra fast Bishopscourt track. The Co. Down circuit is preparing for one of its biggest events of the season as it welcomes the championship for the single day event. Backed by Motorcycle Insurance Specialists, Adelaide Insurance Services the series has completed two events and six championship rounds at Mondello Park and now moves away from Kildare for rounds seven and eight. So far the season has produced some fantastic action particularly in the Supersport class where the level of competition is the highest to be found in any Irish Motorcycle Racing series. 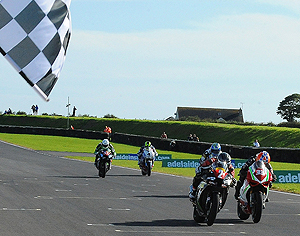 The single day Bishopscourt event will feature the Superbike and Supersport classes and unlike last season will also have rounds of all the supporting championships on its timetable. The organisers will once again put up the Norman Brown trophy for the winner of the second Superbike race and this race will carry the biggest prize fund of the weekend with £1,250 going to the winner. Last year’s inaugural trip to Bishopscourt produced the best racing of the year with the Grand Final having the closest ever finish to an Adelaide Masters race. The quality of the racing led to that race being voted the race of 2012, beating MotoGP, World Superbike and International Road Races to the accolade. The organisers are expecting a similar standard of event for this season and with entries still coming in all of the major title contenders are expected to be on the grid. 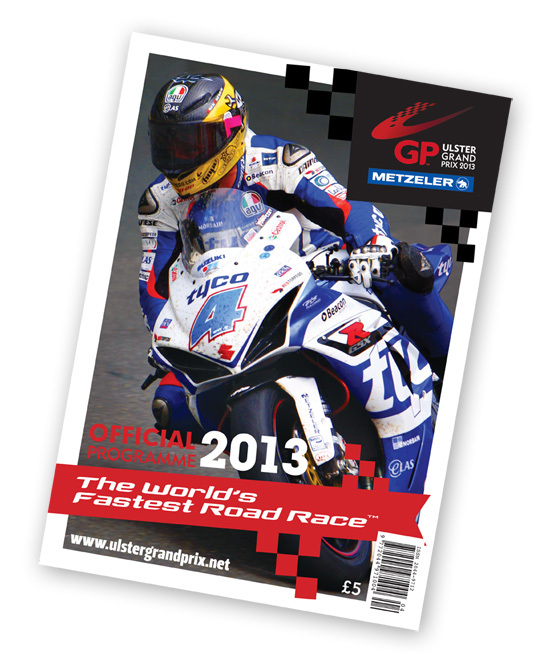 The Metzeler Ulster Grand Prix Bike Week 2013 will run between the 12th and 17th August 2013 (inclusive) in Dundrod, Co. Antrim. The main events are the Topaz Dundrod 150 race on Thursday 15th August and the Metzeler Ulster Grand Prix races on Saturday 17th August. Wristbands that allow entry to the course and the paddock all week cost £25. A fantastic line up of competitors have already confirmed they are taking part and six riders (namely; Michael Pearson, Mark Hanna, Jamie Hamilton, Ian Lougher, Shaun Anderson, Christian Elkin and Lee Johnston) came along to the press launch to get everyone geared up for what promises to be a spectacular and energising event, with riders from across the UK and Ireland taking part. 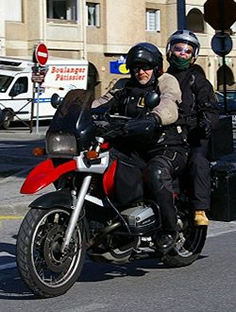 Lisburn City Council has also been liaising with the “30 Motorcycle Club of Ulster” to hold an event in the City centre. The event is planned for Lagan Valley LeisurePlex on the evening of Monday 12th August 2013. A number of classic bikes will assemble at 7.30pm at the Lagan Valley LeisurePlex to head off around the circuit and to return at 8.30pm when their bikes will be on display. Also there will be an outdoor display of several bikes from the 1960 era which raced at Dundrod and Trialstar will be entertaining the crowds with their amazing skills on motor bikes. An exciting new event this year will be an indoor display in Lagan Valley LeisurePlex of motor bikes and memorabilia featuring the Dromara Destroyers and also other motor cycles that have won over the years at Dundrod.